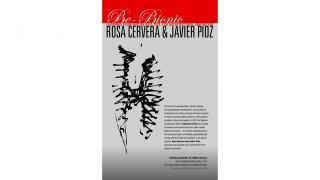 Rosa Cervera & Javier Pioz "BE-Bionic "
In the face of overpopulation, climate change, and unsustainable development, the practices of architecture and urban planning will need to evolve in order to provide viable solutions to these global problems. Since its inception in 1979, the Spanish architectural office of Cervera & Pioz has worked to develop new architectural and urban models inspired by bionics—an integral understanding of the logical principles of flexibility, adaptability and energy-efficiency that are prevalent in all natural species. Rosa Cervera and Javier Pioz, principals and founders, presented their firm’s research and work.